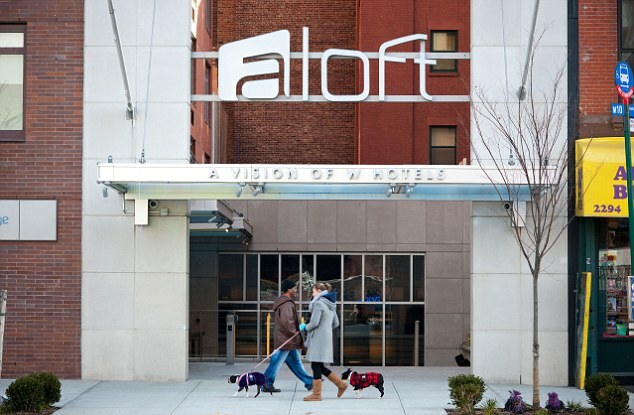 The Aloft Harlem Art Gallery came about when the manager of Aloft Harlem, Jay Dean, reached out to Sara Larner, a screenwriter and art student at Barnard College of Columbia University. Seeing an opportunity for a sustained relationship between Aloft Harlem and un-represented artists not looking to lose 10% of their profits to an agent, and another 50% to the gallery, Sara set to work spreading the word. 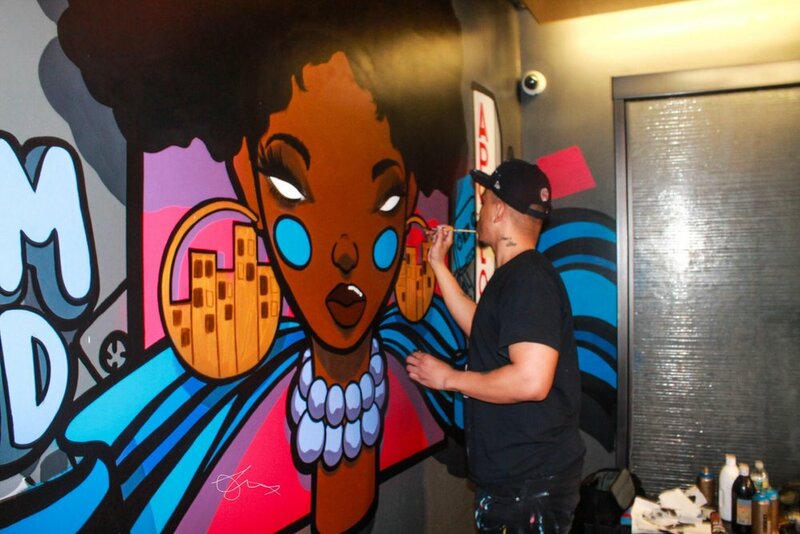 Since then she's received hundreds of submissions, and looks forward to curating beautiful art at Aloft Harlem for years to come. 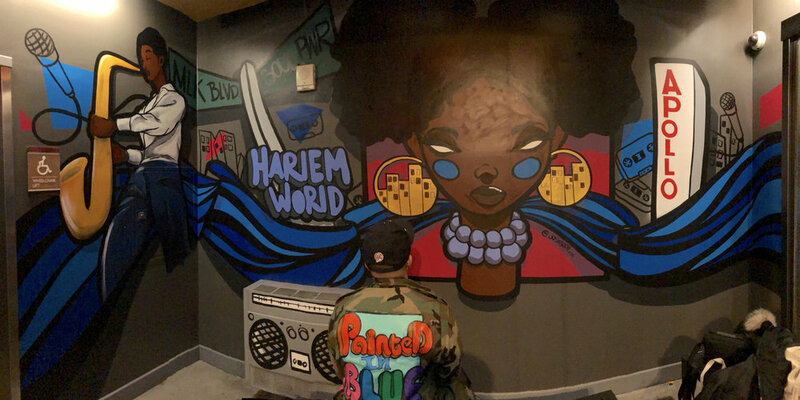 Aloft Harlem Art Gallery exists to promote and support emerging artists, to heighten the experience of Aloft Harlem guests, and to help tie New York student artists, particularly from Columbia University, to the community they inhabit. Local artist Josies Boy creating a striking, permanent installation at one of the entry points to the hotel.